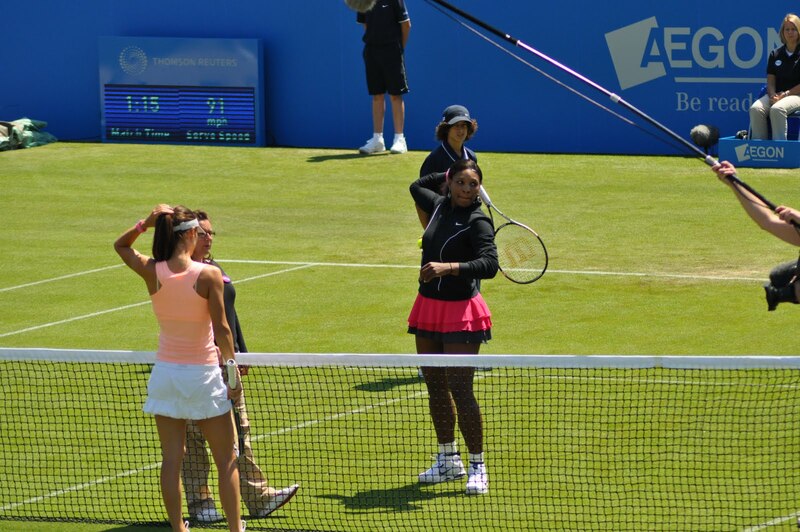 There was a real sense of anticipation and excitement with the second match of the day between Serena Williams and Tsvetana Pironkova. This was Serena’s first match since winning the Wimbledon title last July following a number of injury and health-related problems. 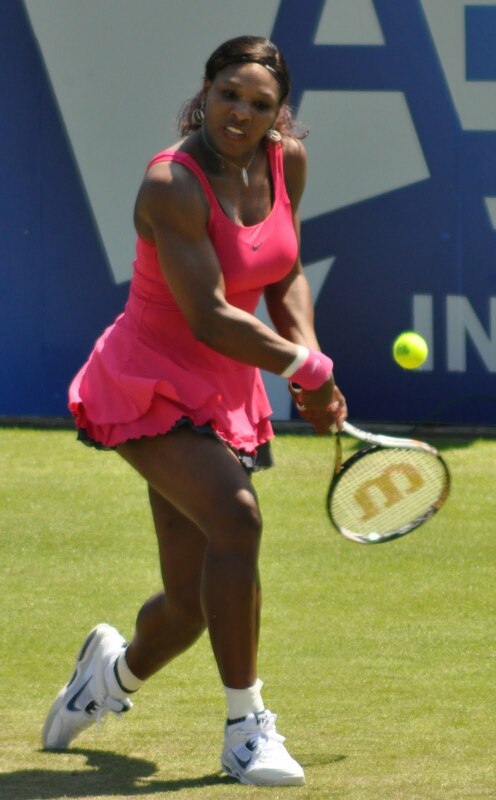 As both players took to the court, Serena received a warm ovation from what was a fully packed centre court. It was refreshing to see the main stadium so full for a women’s match. In fact it was later announced that it was biggest attendance that Eastbourne had ever had for a Tuesday. 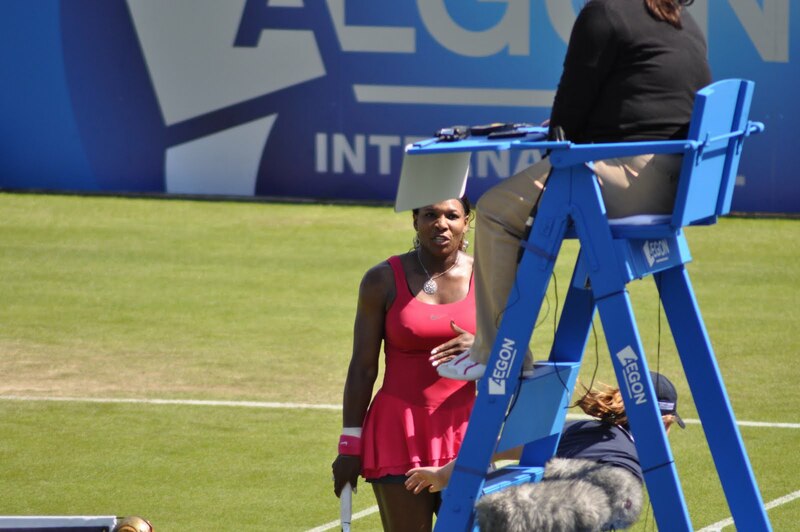 The game did not finish without drama as Serena picked up a time violation, which she questioned with Alison Lang. 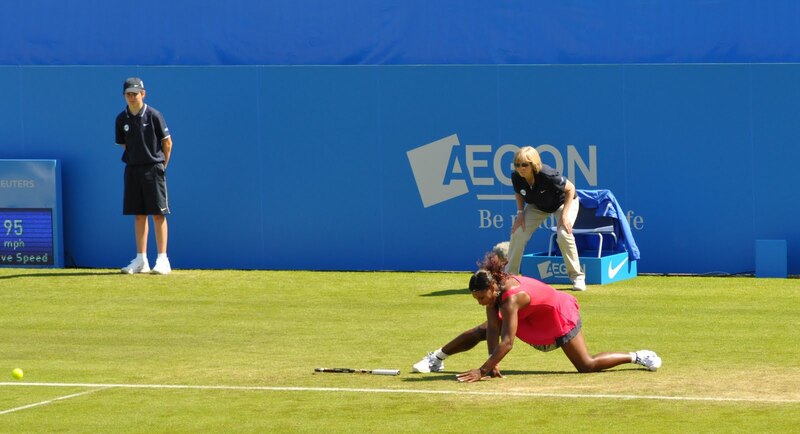 It was a brave thing for Lang to do but she was entirely correct as Serena was taking ages between points. 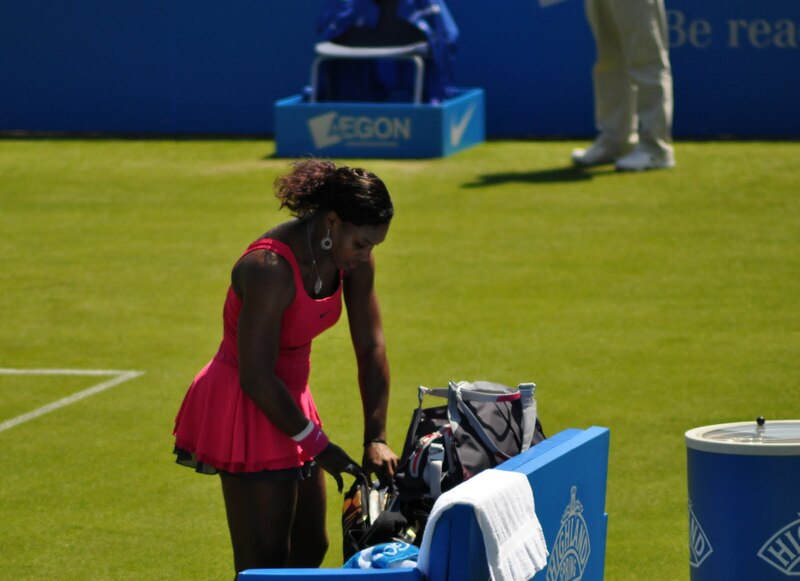 It received a rapturous applause from the crowd who by the end of the match, were not on Serena’s side. 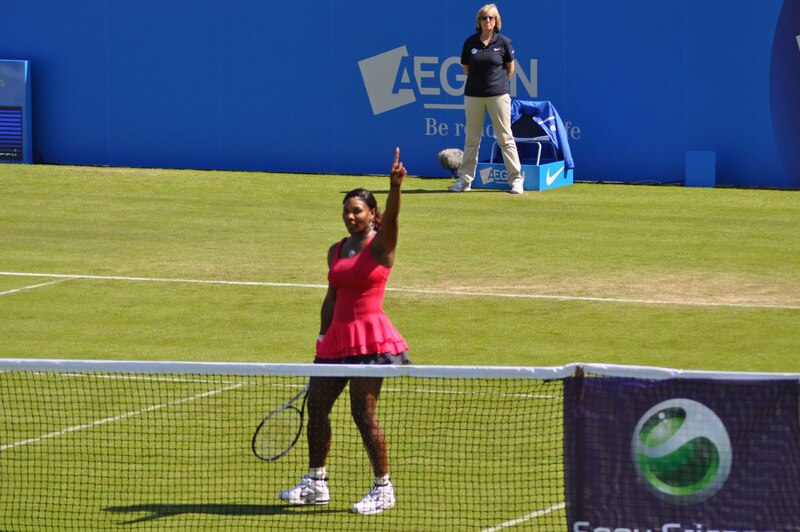 She eventually wrapped up the match and put her finger in the air almost to say she is back and watch out! 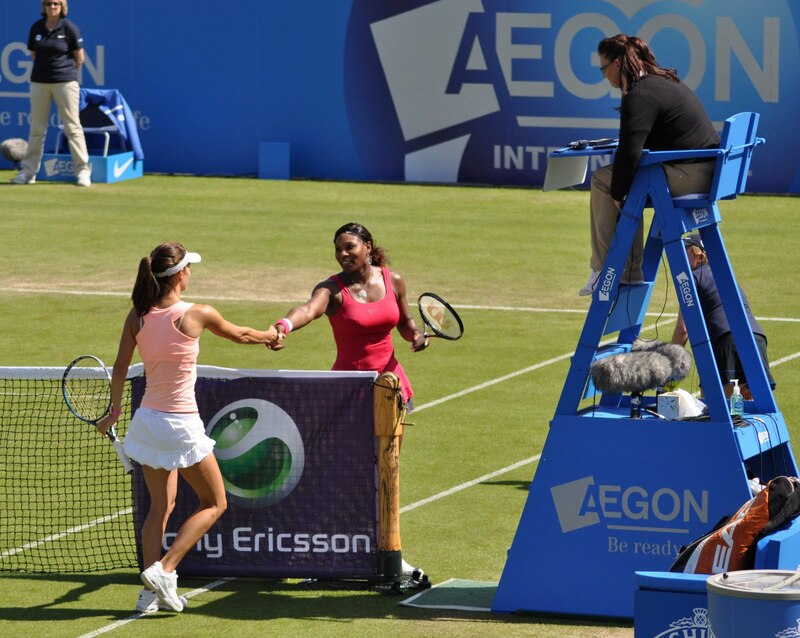 She continued to discuss with Lang about the time violation at the end of the match as the excitement of her first win was rather overshadowed as she took several minutes to acknowledge the crowd. It was particuarly nice to see that the largest applause of the day went to Pironkova – she played her heart out and was unaffected by the anticipation of Serena’s comeback and some disappointing tactics from Serena. 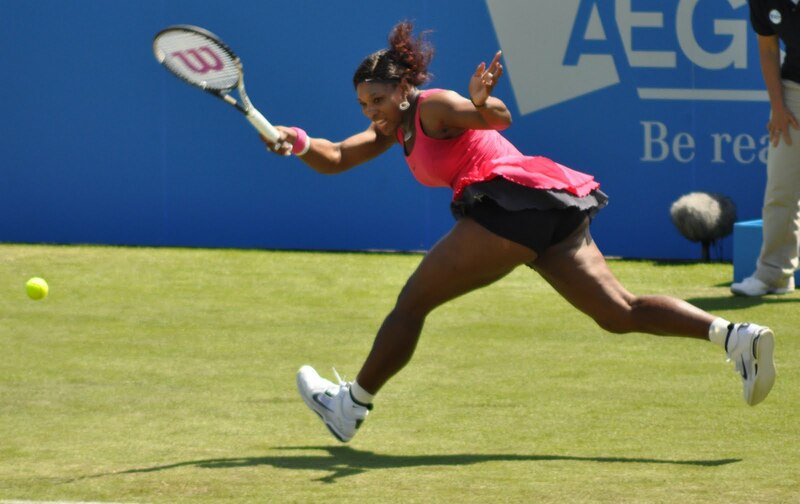 It is a wonder why with her talent that she hasn’t produced any noteworthy performances since Wimbledon – perhaps returning to the grass will rejuvunate what has been a poor year so far. 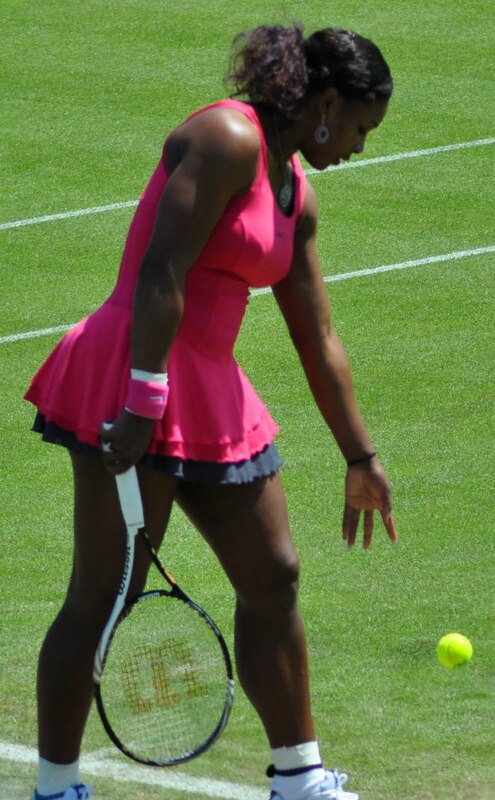 With regards to Serena, I will not be supporting her at Wimbledon. She has certainly injected some new found excitement to the WTA tour but for her to win Wimbledon would be especially bad for the Women’s game. I hope one of the exciting new talents coming through will make a point and prove that there are some good players on the WTA tour despite all the criticism it has been receiving lately. 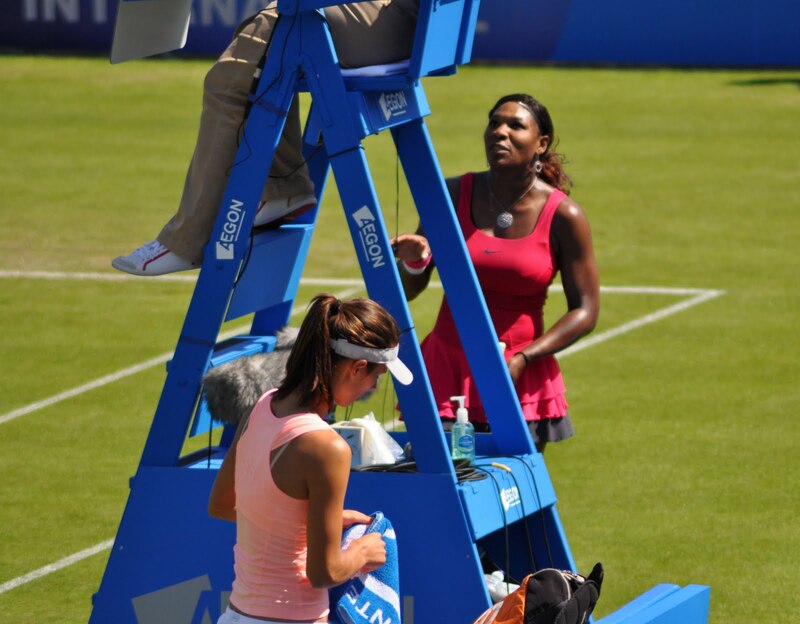 June 15, 2011 in Eastbourne, Pironkova, Serena.